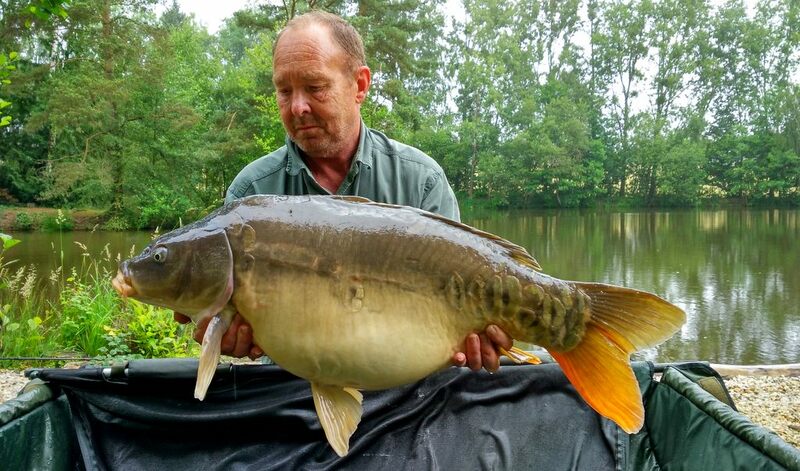 Beausoleil holds 80+ carp to 43lbs with the majority over 30lbs. Chasing our carp is an endless source of fascination. Finding them is easy enough. A stealthy walk along the tree lined margins will usually reveal multiple signs. But each bite is hard won. The reward of your carefully crafted plan. The battles can be epic as they surge, unstoppable, towards nearby sanctuary. Some will trick you by coming easily to the bank only to power off at high speed, catching you unawares. Some are rare visitors to the bank, making a mistake maybe once or twice a year. Others are friendlier and enjoy posing for the camera. Each capture is special, a magical moment to remember. 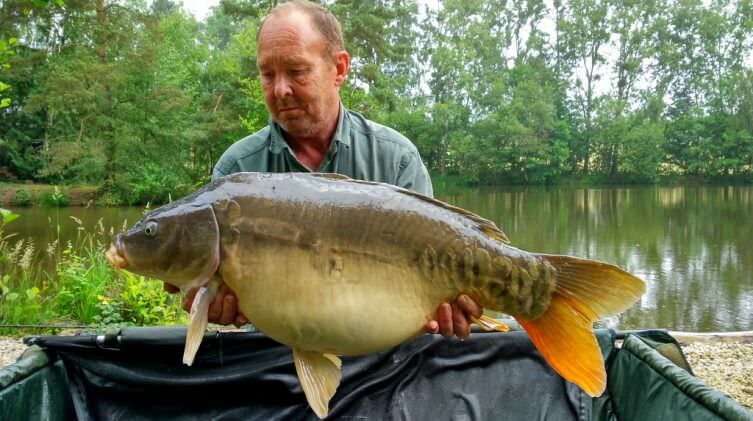 The lake was originally stocked with carp from the famous Etang La Horre and many of these are still present. Over the years, we’ve added a variety of handpicked specimens to complement the original stock. 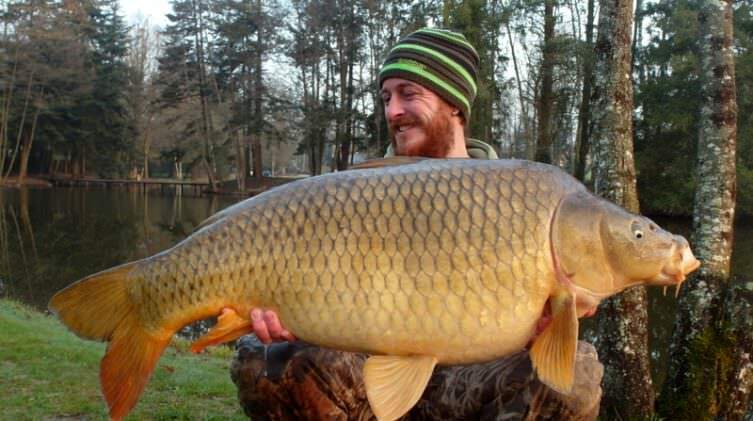 Recently, we’ve added carp from the Czech Royale strain which is rated for looks as much as growth rates. Our carp come in a great variety of shapes, the highest prized being the large, dark, scaly mirrors and the powerful golden commons. 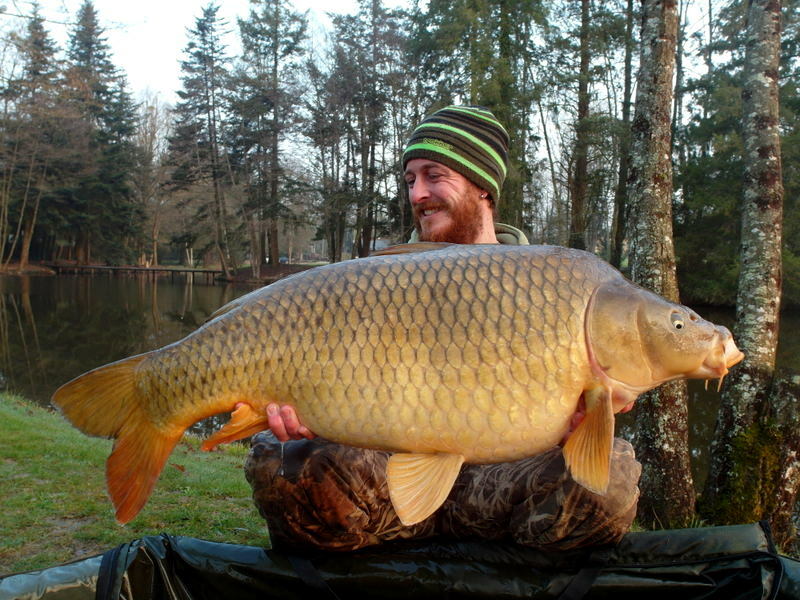 The lake is managed to ensure a consistent stamp of fish from 25lbs to 40lbs. 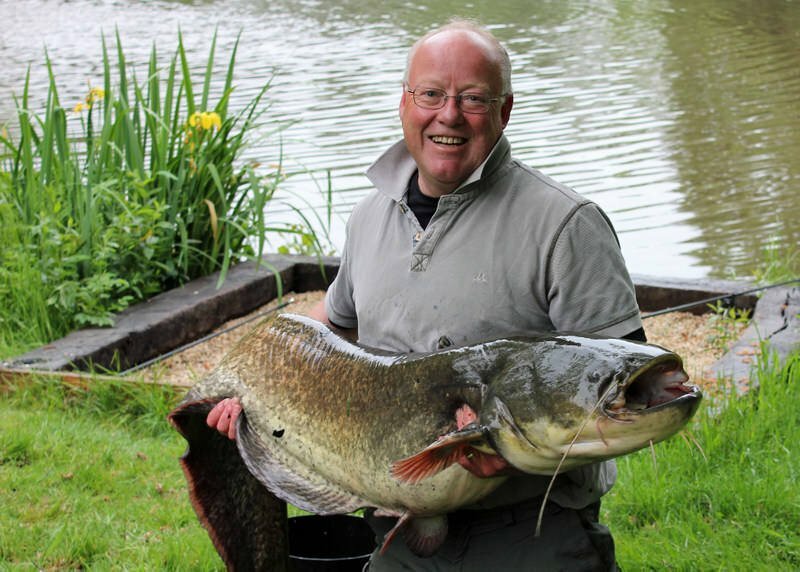 The lake record currently stands at 43lbs and 6 different forties have been caught so far in 2018. We have 20+ different catfish ranging from 50 to 109lbs. Huge power. Massive thrill. Great reward. Nothing can prepare you for the experience of hooking one of our catfish. They are awesomely powerful and difficult to tame. Each encounter will leave a long lasting impression. You will find our specimens in rude health with incredible stamina and you will need to be in good shape if you tangle with one. Hooking a big ’un‘ at night is an exhilarating experience. Your mind and body will go into overdrive as they try to cope with the stress and excitement of the battle. 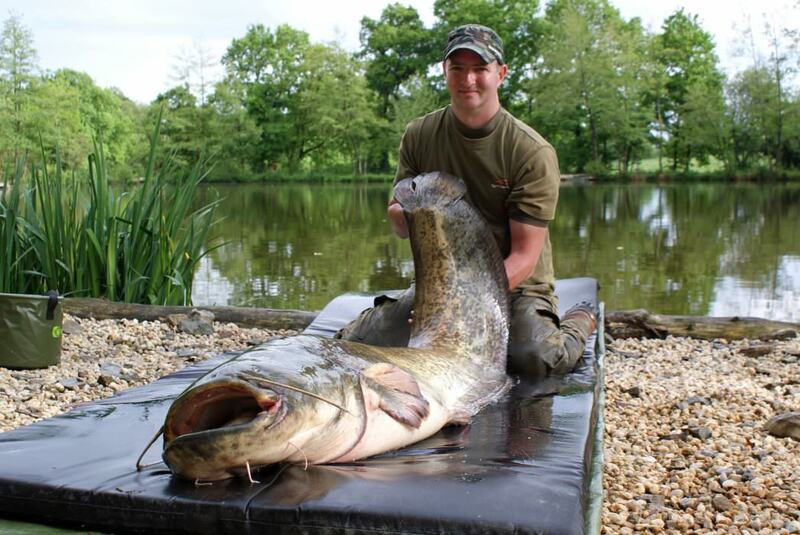 The buzz of landing a monster catfish is simply an unforgettable experience. Not for the faint hearted or the under gunned. 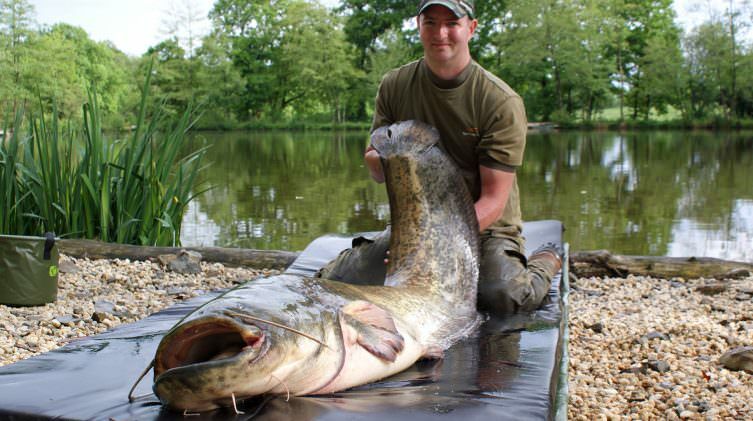 We know of four different catfish that have broken the three figure mark. Our cats are not for the faint hearted or under gunned. Mainline failure is the single most common cause of loss and you need to fish strong for both species. Your choice of mainline can make the difference between success and failure. Make sure you check out our lake rules and our tackle recommendations on the “How to fish Beausoleil” page. 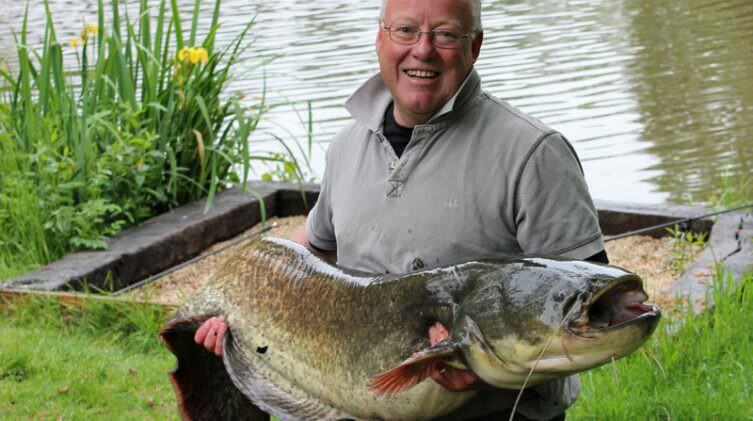 We provide specialist catfish landing and weighing equipment so that you can handle the fish safely on the bank. Want an English looking estate lake in France ? This is the venue for you! Beautiful fish in immaculate condition.